This book is so much more than a story of a woman who was lost and found her way. 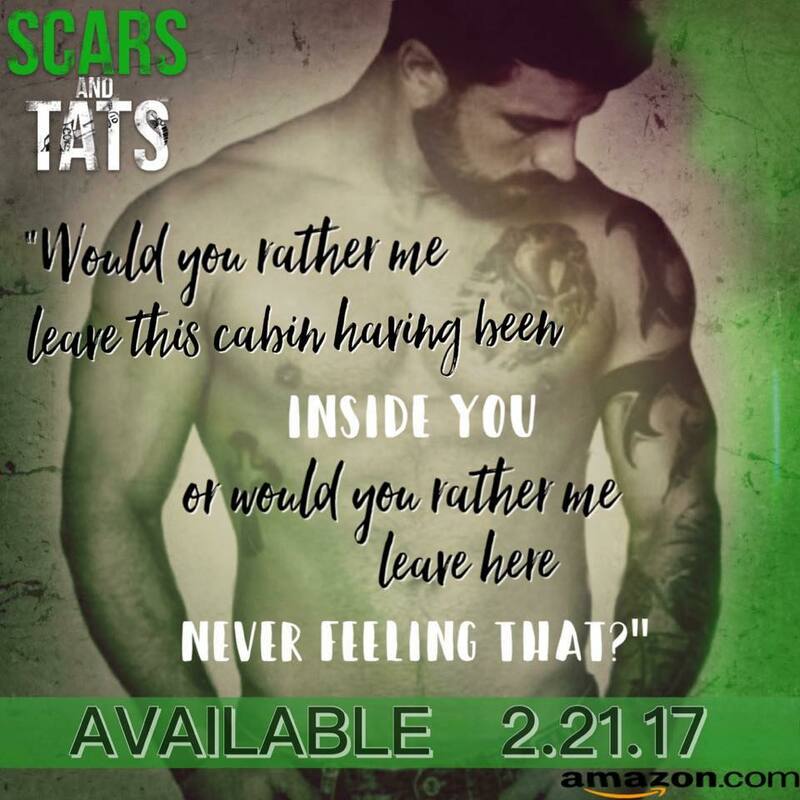 This book is about how scars aren't always on the outside, but how we carry them deep in our souls and the become tattoos on our hearts. We've all had things happen to us that we didn't think we could overcome just like Mela McKinley. In order to stay alive we dig deep into the depths of our inner most workings and find whatever we need, whether it's faith, strength, determination or a combination of all three. We survive. And that's what Mela did. She survived and while surviving she made a life for herself. Enter Jackson Winslow. To Mela he's terrifying because he's the unknown. To me, he was HOOOTTTTT! He's just what Mela needed. But Jackson isn't exactly what Mela thought and will the trust she put in him come back to bite her? 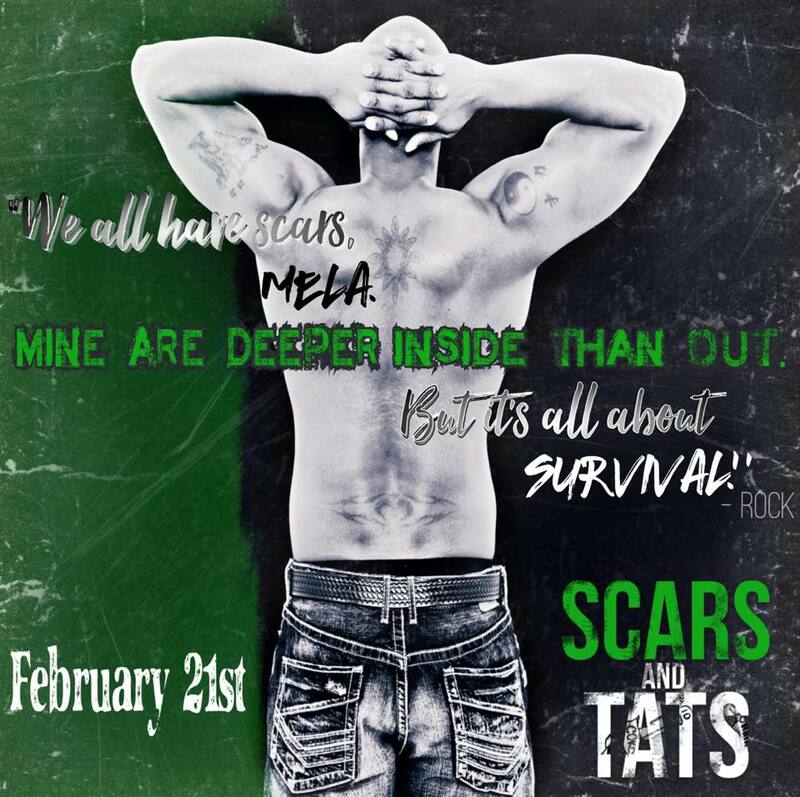 Scars and Tats is full of mystery and suspense, but yet, complex and heartbreaking. It provided more feels than I could imagine. It was just what I needed. Maybe it will be just what you need too! People ask me ‘what has been your favorite book to write’—I would have to say my original series. (I think it sold 100 copies) J Someday…I may have to tweak them a bit because my heart was poured into those books—but they need help! Slick was my Amazon best seller…but every one of them mean something to me.